Idles about while pinching claws. Got no luck to get this pet from Island Expeditions. 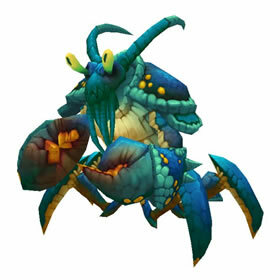 Today, Treasure Map-Mysteries Of The Reef as rewards have Juvenile Brineshell with bonus roll Radiant Azerite Matrix 1500 Artifact Power. Now I can finish "I'm Here for the Pets"